For seasonal items or in case of same-day delivery, we reserve the right to make product substitutions where necessary. In all cases, the product used will always be of same or greater value and very similar to the original. Our specialists hand-design each arrangement, so colors, varieties, container, and accessories may vary due to local availability. This is a stunning bouquet created with 50 white roses. 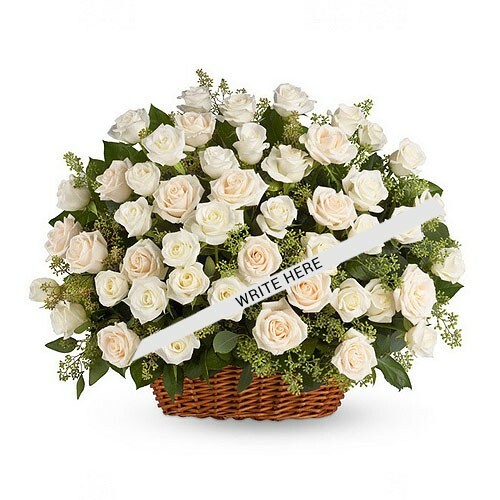 All the roses are arranged in a basket with a card message to make the flower delivery personal. Note: Add in the comment box your notes to be mentioned on the ribbon along with the card message.